Make sure you head to the beach in style with this funny Beachside Clyde Swimsuit Costume. This fantastic Beachside Clyde Swimsuit Costume comes complete including a Shirt, Shorts, and Socks. The blue and white striped Shirt features short sleeves, and the matching blue and white striped Shorts feature an elasticated waistband. 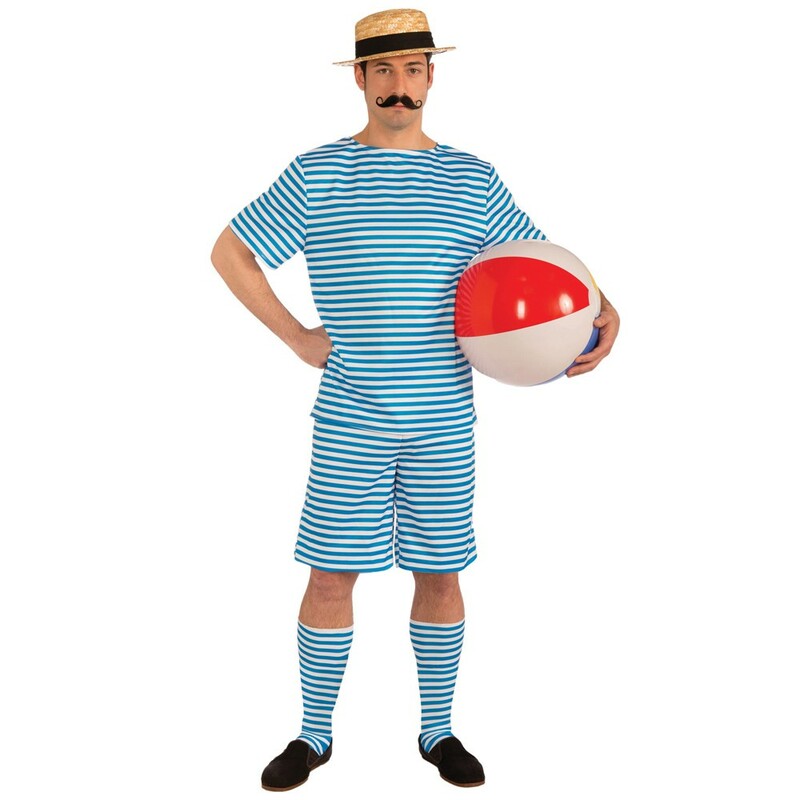 To complete this Beachside Clyde Swimsuit Costume is the blue and white striped knee high socks for this classic look. Perfect for a Victorian theme, a comedy theme, or any fancy dress occasion, this Beachside Clyde Swimsuit Costume will be sure to have you swimming around in no time. A Beachside Clyde Swimsuit Costume including a Shirt, Shorts, and Socks.